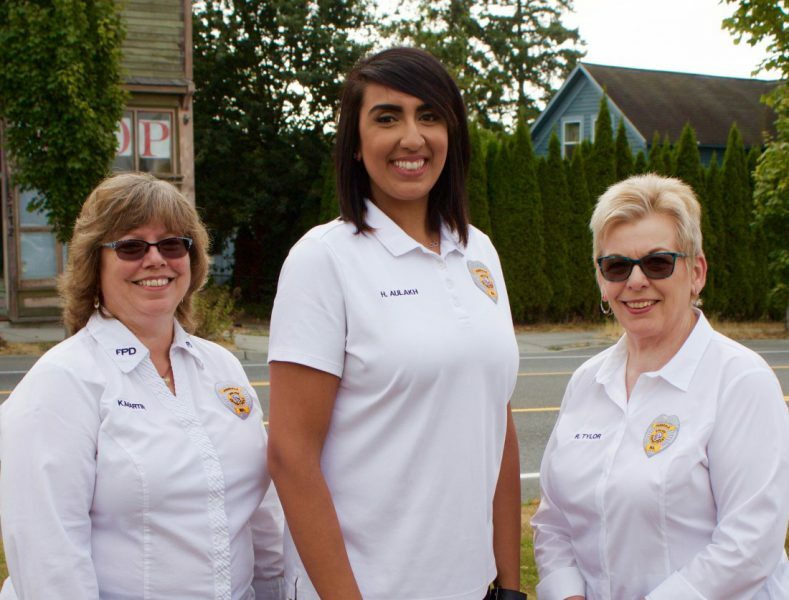 Your first contact when entering the Police Department will be with a member of our Support Services staff. We take pride in offering great service to visitors to our Department and will assist you whenever possible. Between the three of us, we have over 55 years of Law Enforcement experience, so we can usually answer whatever questions you may have – and if not, we’ll find someone who can! Any records or portion of records that are exempt from disclosure will be withheld or redacted (blacked out.) We will specify and briefly explain the exemption that applies to any redactions or denials. Some common exemptions are RCW 42.56. RCW 10.97, RCW 13.50, and RCW 46.52. Customized service charge if outside professional assistance (such as IT) is required – actual costs of provider. You will be given an estimate to approve before these charges are authorized. Payments are by cash, check or money order only, made out to City of Ferndale. No credit or debit cards! To make a request for disclosure of non-police City records, contact the City Clerk Susan Duncan at City Hall, 2095 Main Street, Ferndale, or email susanduncan@cityofferndale.org . Keeping unused, unwanted or expired medications in your home poses a risk to you, your family and your community. Drugs thrown into the trash can be retrieved and abused or illegally sold, and drugs flushed down the drains end up in our waters. The City of Ferndale and Custom Rx Shoppe partner to help you dispose of your old medications safely. At the Police Department we will accept legal narcotics and other prescribed controlled substances during regular business hours. Bring them in in their original containers. You may black out any personal data on the label, but do not cover the name of the medication. We will lock them into a secured bin until the DEA’s drug pickup day. Custom Rx Shoppe will take most other prescriptions and over-the-counter medications, vitamins, ointments, inhalers and unopened EpiPens. Americans turned in a record-setting 912,305 pounds of potentially dangerous expired, unused and unwanted prescription drugs for disposal on the Drug Enforcement Administration’s October 2017 National Prescription Drug Take Back Day. The collection exceeds the April 2017 amount by almost six tons. Since autumn 2010, the DEA has collected more than 9 million pounds of prescription drugs. Ferndale’s contribution to the August Drug Take Back was just under 195 pounds, 148 pounds more than our April 2017 load. Often when people are travelling or working overseas, the foreign county will ask them to present a Letter of Good Reputation (or something similar) showing that they have not had any troubles with the police in their home town. We offer Clearance Letters for Ferndale residents for a $20.00 fee but do stress that only our city of Ferndale files are checked. If you require a full criminal history check, you must either contact the Washington State Patrol (for a statewide check) or the FBI for a nationwide check. Thanks to the Salvation Army Emergency Assistance Program, we are able to provide short term financial assistance to Ferndale residents and travelers who have experienced an emergency and are in need of help. Types of assistance include food, gas, propane, prescription/medical assistance for seniors, and in extreme emergencies, shelter for families. Please call 360-384-3390 extension 0 or stop in for further information.